First I'm stealing their braided hair, and strawberries and cream complexions. Next on the covet list is their little piggies! Oh so sweet! 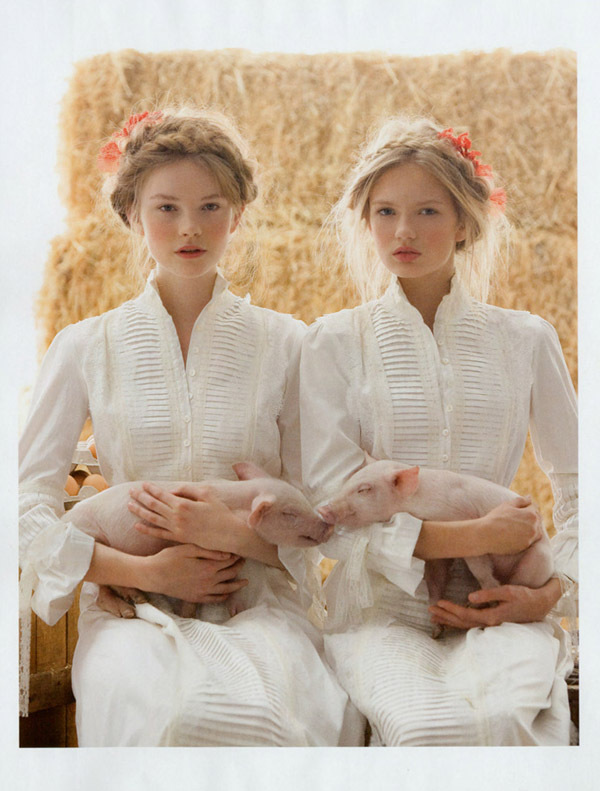 I came across this angelic Vogue shoot on the Studded Hearts blog.